You must renew your .co domain name by its expiration date. If you set your domain name to auto-renew, we make the first renewal attempt on the morning of the day your .co domain name expires. If the renewal attempt fails, we re-attempt renewal five days after the expiration date. If the second renewal attempt fails, we make a final auto-renewal attempt 12 days after the expiration date. For example: Your .co domain name expires on July 19. If you did not set the domain name to auto-renew, you can renew it manually by July 19. For automatic renewals, we attempt to renew the domain name on July 19, July 24, and July 31. If we cannot auto-renew the domain name and you did not manually renew it by its expiration date, you can attempt to recover it, and there might be a fee to do so. See Recovering expired domain names for more information. .CO Internet SAS parks your domain name five days after expiration if you do not renew or recover it. If you are unable to recover the domain name, we can attempt to redeem it for you, but there is a fee for the redemption. Contact our technical support team for assistance. For information about updating your payment information, see Set an alternate payment method. For information about manually renewing your domain name or setting it to auto-renew, see Renew my domain. Foreign nameservers must be registered with .CO Internet SAS. If you register at GoDaddy, we will register the foreign nameservers for you when you change your domain name's nameservers. 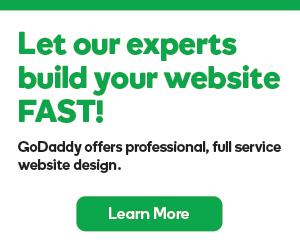 At the time of a domain transfer to GoDaddy, only a 1-year renewal can be added, but additional years can be added once the domain is in a GoDaddy account.